Police arrest Dr Govinda KC (waving) from his hunger strike venue on the premises of TU Teaching Hospital in Kathmandu on Monday evening. The Supreme Court earlier in the evening ordered his arrest on the charge of contempt of court. 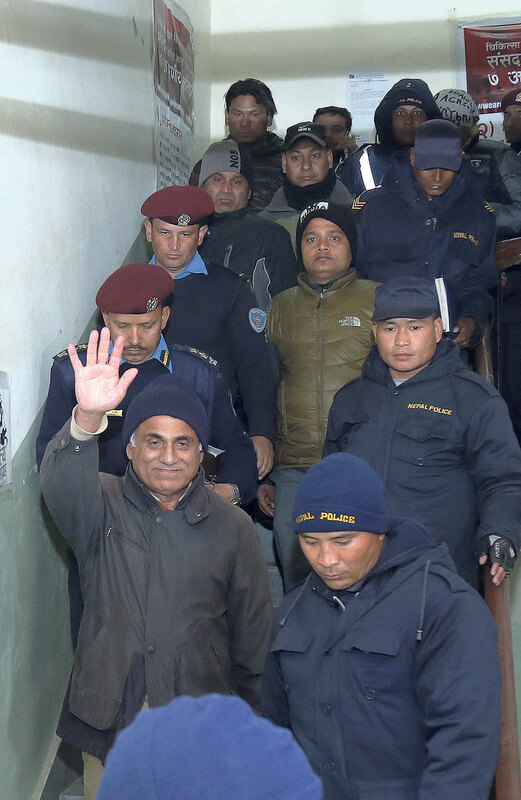 KATHMANDU, Jan 9: In a dramatic new development, police on Monday arrested Dr Govinda KC, who had started his 14th fast-unto-death, against a recent apex court verdict reinstating sacked dean of Tribhuvan University Institute of Medicine (IOM) Shashi Sharma. Police arrested the crusader for medical sector reform from TU Teaching Hospital at Maharajgunj, where he was on hunger strike, at about 8 pm Monday. The apex court earlier in the day summoned him to the court at 9 am Tuesday to face a contempt of court case. Dr KC is being kept in detention at Metropolitan Police Circle Office, Singha Durbar, following the arrest. Dr KC has threatened to stage a fast-unto-death against Chief Justice Parajuli, wherever he is held by police . The government led by Khil Raj Regmi had sacked Dr Sharma on January 22, 2014, under the pressure of another hunger strike by Dr KC. Dr Sharma will have only three days in office left following the court’s reinstatement order. The apex court order comes after an official of the Supreme Court, Netra Bandu Paudel, lodged a suo moto contempt of court charge-sheet against Dr KC shortly after he alleged that Chief Justice Gopal Parajuli was ‘corrupt’ and was siding with ‘ the mafia’, during a press conference held at 2 pm to announce his protest action. 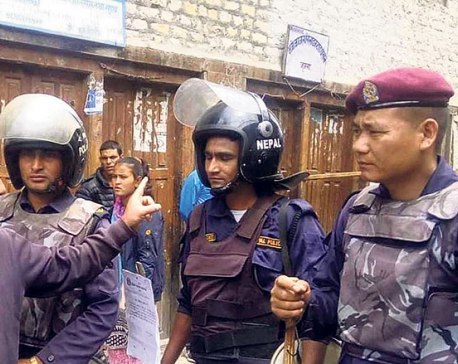 Asking if there was any reason not to take action against him, the apex court directed the Ministry of Home Affairs and Police Headquarters to arrest and produce Dr KC before the court at the given hour on Tuesday, in order to proceed with the case. A single bench of Justice Dambar Bahadur Shahi issued the arrest order following hearings conducted Monday immediately after the case was lodged a few hours after Dr KC’s allegations against the CJ. Expressing dissatisfaction with a judgment handed down by CJ Parajuli and Justice Deepak Kumar Karki on Sunday reinstating Dr Sharma in the position of IOM dean, Dr KC had organized a press conference, announcing his plan to start a hunger strike against the apex court verdict starting 4 pm. The apex court has initiated the process against Dr KC and scheduled a petition in the criminal case list. Pleading on behalf of the petitioner, advocates Shyam Prasad Kharel, Upendra Keshari Neupane, Raman Kumar Shrestha, Laxman Thapaliya and Deepak Kumar Bista sought that the apex court take serious action against KC, who allegedly undermined the court order in a prima facie manner. Issuing a press statement during his press conference Monday, Dr KC accused CJ Parajuli of taking sides with the mafia. 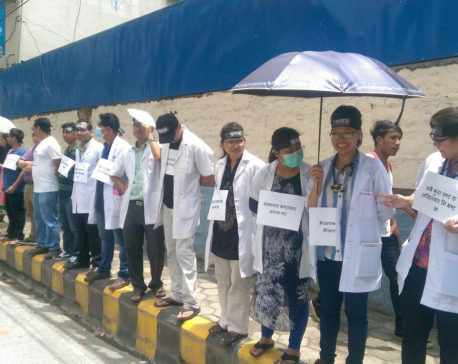 Dr KC had presented a seven-point demand. The demands include the resignation of CJ Parajuli, immediate formation of the Medical Education Commission, appointment of the IOM dean on the basis of seniority and cancellation of the order reinstating Dr Sharma, action against Tribhuvan University officials who decided to grant affiliation to controversial medical colleges, promotion of staff on the basis of seniority and negation of political appointments, surgical services under Extended Health Services, and proper sanitation at hospitals.